Good health requires good nutrition, exercise, a little sunshine and an overall healthy lifestyle. Nutritious healthy food is abundant in our society, yet many continue to eat nutrient poor processed and fast foods. This makes for a very unhealthy diet, lacking in the essential nutrients necessary for optimal wellness and contributes to our over-fed but undernourished society. Nutrients are involved in all bodily processes, and while all nutrients have specific functions, they work together to support health and wellness. Nutrient deficiencies affect bodily functions and processes at the most basic cellular level, including fluid balance, enzyme functions, nerve signaling, metabolism, digestion, brain function, and growth and development. Long term deficiencies can affect both physical and mental health and contribute to overall unhealthy aging. As trillions of cells rely on vitamins and minerals to create energy, it’s not surprising that fatigue is one of the first signs of deficiencies. According to the Harvard Health Publications, The Truth About Vitamins and Minerals, most Americans are not eating healthy enough diets to provide optimal levels of a range of vitamins, minerals, and micronutrients. Children, young women, the elderly, and vegetarians are at the highest risk of several deficiencies. Malnutrition, malabsorption, medications, medical conditions and aging all contribute to nutrient deficiencies. In addition, excessive physical activity, smoking, alcohol and sedentary habits all negatively impact micronutrient demands. Vitamin D – Vitamin D deficiency is prevalent in all age groups, especially in those who chose to avoid any sun exposure or use topical sunscreens, which block vitamin D production. By some estimates, up to half of the general population is either deficient or at risk of deficiency. Low levels of vitamin D are linked to an increased risk of high blood pressure, heart attacks, strokes, bone disease and peripheral artery disease. To optimize your vitamin D levels practice sensible sun exposure, include some vitamin D enriched foods and supplement with vitamin D3. Vitamin K2 – Vitamin K2 works in conjunction with vitamin D3. Neither one can do a proper job without the other. Working synergistically with magnesium and calcium, vitamin K2 plays an important role in bone and heart health. In addition to being responsible for bone building, vitamin K is necessary for the health of arteries and blood vessels and plays a role in tissue renewal and growth. A deficiency can lead to heart disease and osteoporosis. Animal products such as eggs and some cheeses and fermented foods such as natto are good food sources of vitamin K2. If you are taking anticoagulant medication, consult a healthcare provider before supplementing with vitamin K2. Calcium – Critical to heart, muscle and nerve function, calcium is essential to every cell. Low calcium intake is common in young women and the elderly, where it can affect bone health and lead to osteoporosis. Calcium intake should be balanced with vitamin D, K2 and magnesium to ensure that calcium is used correctly by the body. Excessive calcium intake is never recommended. Calcium can be found in dairy products, fish and dark green leafy veggies. Magnesium – Essential for heart, muscle and overall health, magnesium deficiency is linked to a higher risk of both high blood pressure and cardiovascular disease. Magnesium aids heart muscle function, keeps it running smoothly and maintains a proper balance of other minerals to aid heart health. Studies show less than half the population has sufficient magnesium intake. Low magnesium levels are associated with type 2 diabetes, metabolic syndrome, heart disease and osteoporosis. Symptoms of deficiency include muscle cramps, restless leg syndrome, fatigue and abnormal heart rhythm. Dietary sources include whole grains, almonds, and leafy green vegetables. Vitamin B12 – Vitamin B12 is necessary for red blood cell formation, neurological function, DNA synthesis, and homocysteine metabolism, as well as energy metabolism. Causes of insufficiency include dietary deficiency, malabsorption due to gastrointestinal disorders and pernicious anemia, a condition in which people lack intrinsic factor, a compound necessary for B12 absorption and utilization. B12 is found naturally in animal products and fortified foods. Older adults, along with vegans, and vegetarians, especially those who may be pregnant or lactating vegetarians, are at risk of deficiencies and should consult with a healthcare provider regarding B12 supplementation. Antioxidants – Vitamins C and E, selenium and CoQ10 are chemical compounds that address free radicals and oxidative stress. These nutrients support mitochondrial energy production and help to protect vital organs, including the heart, lungs and brain, that are vulnerable to oxidative injury. An unhealthy lifestyle, aging and malabsorption issues are linked to antioxidant deficiency. Be sure your diet includes an array of fruits and vegetables, nuts, whole grains and healthy protein each day. 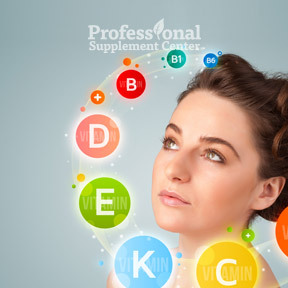 Professional Supplement Center offers exclusive, patented micronutrient testing, not only to measure the level of selected vitamins, minerals, antioxidants, and other essential micronutrients, but also to determine whether nutrients are being absorbed and are properly functioning within the body. 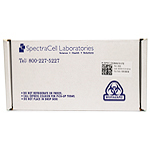 Comprehensive Nutritional Panel by Spectracell Laboratories – This micronutrient test kit measures the function of 35 nutritional components including vitamins, minerals, antioxidants, fatty acids and amino acids to give an accurate analysis of deficiencies. This test includes a complimentary post-test consultation with our Registered Nurse to review the results. D3 5000™ by Metagenics® – This product supplies 5000 IU of a highly absorbable form of vitamin D3 as cholecalciferol in a dosage intended to quickly replenish vitamin D status. Gluten free, Non-GMO formulation. Vitamin K2 with D3 by Ortho Molecular – This comprehensive and synergistic formula promotes natural bone building processes and provides support for calcium metabolism, healthy bone density, and bone strength. Gluten free. Calcium with Vitamins D and K2 by Dr. Mercola – This product provides highly bioavailable elemental calcium, along with clinically supported vitamin K2 and vitamin D3 as cholecalciferol in support of balanced bone strength and increased bone density levels. Magnesium Citrate by Pure Encapsulations – Each capsule provides 150 mg of highly bioavailable magnesium chelate in support of healthy bones, cardiovascular health, energy production and nutrient metabolism. Gluten and soy free, Non-GMO vegetarian formula. B12-Active™ Cherry by Integrative Therapeutics – These naturally flavored chewable tablets provide B12 as methylcobalamin, a highly bioavailable, readily useable form, in support of fast-acting energy support. BioProtect™ by Biotics Research – This full spectrum antioxidant formula provides antioxidant vitamins, minerals, CoQ10 and amino acids in support of addressing oxidative stress, free radical protection, and prevention of muscle soreness after exercise. Gluten free. This entry was posted in Home and tagged antioxidants, B12-Active™ Cherry by Integrative Therapeutics, BioProtect™ by Biotics Research, Calcium, Calcium with Vitamins D and K2 by Dr. Mercola, Comprehensive Nutritional Panel by Spectracell Laboratories, D3 5000 by Metagenics, Magnesium Citrate by Pure Encapsulations, Nutrients for a Healthy Life, Professional Supplement Center, Vitamin B12, Vitamin D, Vitamin K2, Vitamin K2 with D3 by Ortho Molecular, Vitamins and supplements, www.professionalsupplementcenter.com. Bookmark the permalink.